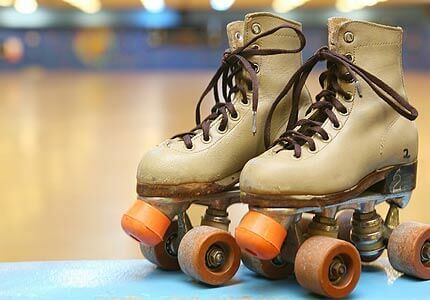 Quad skates are better known as roller skates, and you’ve probably seen people skating in them at the roller rink or in Hollywood movies. Roller skates provide immense stability. If balancing is difficult for you, you’ll want to start out roller skating on quads. They help riders even out their center of gravity and allow for a smooth ride. It’s important to note that quads aren’t known for their speed. You likely won’t be racing through the park or whipping around tight corners in roller skates. But, nevertheless, quads are a great option to choose when you first start roller skating. Inline skates, or rollerblades as many people call them, are great for speed and maneuverability. If you’re about to skate for the first time and you choose inlines, you may have a hard time; but it’s not impossible. You may want to practice first on a smooth surface with little or no obstacles blocking your path. Make sure you wear protective gear such as a helmet, elbow pads, knee pads, and wrist guards. This will ensure your safety if you fall. Whether you’re a rollerblader or rollerskater, visit Skate Moore today! Check out our schedule, invite your friends and family, and get skating! 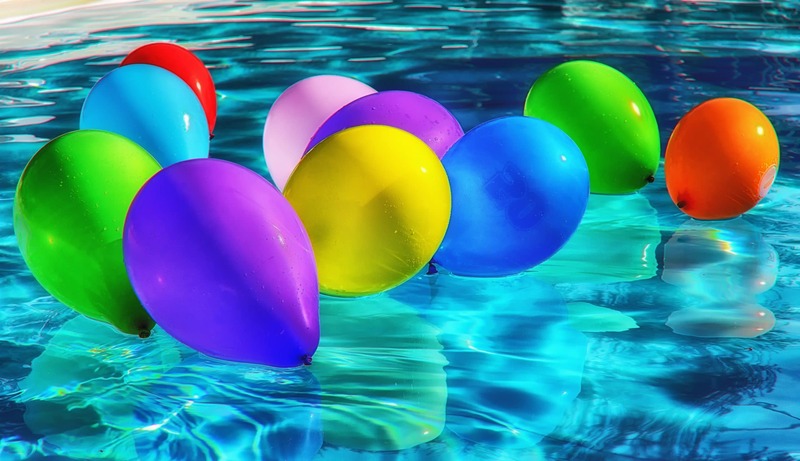 Think outside the box for your child’s summer birthday party. Instead of your go-to pool party to celebrate your kiddo, bring him and his friends to Skate Moore! Our private birthday party package includes admission for up to 30 skaters, 30 drinks, 30 rental skates, 3 extra-large single topping pizzas, and the private use of the rink for two hours. Additionally, your birthday boy gets to take a trip in the prize machine. The prize machine is loaded with $1,000 worth of prizes! Coaches, your athletes have worked so hard this spring season and now it’s time to celebrate their accomplishments. 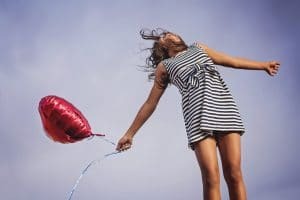 (Did you know that celebrating a job well done is actually very beneficial for future success?) So, bring your team to Skate Moore for an end-of-season party. Let them de-stress, have fun, and race around the rink for hours. Bring up to 30 athletes to your team party and enjoy drinks, pizza, skates, and glow sticks. 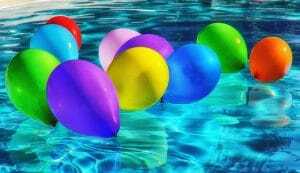 Are you ready to book your team celebration or birthday party? Check out our available times and affordable prices here! We look forward to celebrating the people you love at our skating center. Try Something New: Take Up Roller Skating this Spring! Spring is here, finally. It’s been a long winter, and everyone’s looking for fun new reasons to get out of the house now that the warmer weather might be here to stay (we hope it’s here to stay, anyway). Have you thought about taking up roller skating? It’s the perfect hobby to liven up the spring and summer! You probably already knew this, but skating has a ton of physical benefits. Because it involves most of your major muscle groups, you’ll notice improved strength and tone. Exercising your core will help improve your balance as well. Feeling a bit wobbly on your skates? Click here for tips on being more stable! The aerobic exercise will strengthen your heart and lungs, and because it’s low-impact it’s easier on your joints than running or jogging. Skating is also good for your brain! Getting out to the skating rink at Skate Moore Skate Center means you’ll listen to great music while getting plenty of exercise, which helps lead to an improved mood. Not only that, but did you know that learning a new skill can help keep your brain young and even help prevent dementia? And don’t forget the biggest benefit of skating: meeting new people. Spring is a time of renewal and growth, and there’s nothing like new friends to make that happen. No matter what your reasons are for taking up skating this spring, Skate Moore Skate Center is the place to do it. Check out our schedule to see what works best for you. We can’t wait to see you! Balance is an important part of roller skating, and that can trip some people up. While skating will help improve your balance, it’s hard to get started if you can’t keep your feet! That’s why Skate Moore Skate Center has put together some tips to improve your balance while skating. First of all, start small: stand on one foot for a few minutes, then switch to the other foot. Really, that’s it! This little exercise is surprisingly effective and can be done almost anywhere. You can stand on one foot while brushing your teeth, packing lunches, waiting on the bus, or whenever it’s safe (not while using sharp objects, please). If you’re already doing yoga, you know tree pose works on the same principle. You’ll find the muscles of your legs and core getting stronger as they work to keep you upright, which will translate directly into the skating rink. Before you go skating, warm up a bit. Walk briskly or even jog for five to ten minutes to get your muscles warm and limber, and they’ll react better to exercise. You’ll be less prone to falling and other injuries, such as muscle strain, that way. And of course, practice! The more you do it, the better you’ll get at it. Daily practice is your best bet, but even a few times a week will benefit your balance tremendously. Check out the open hours at Skate Moore and join us for the most fun you’ll have while also working on your athleticism! Are you looking to add more fun to your life? Fun is important because it decreases stress and anxiety, and it increases your overall health! Having fun and looking good go hand-in-hand. That’s why the team at Skate Moore suggests purchasing high-top roller skates to kick your skating style up a notch! 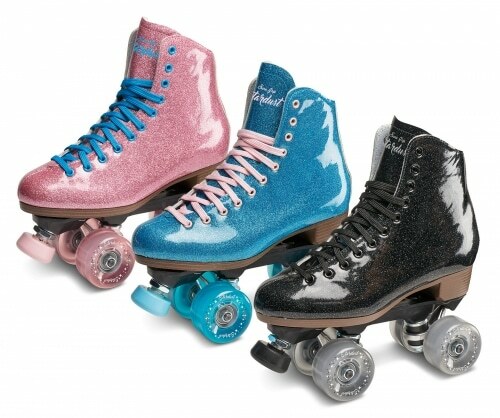 Check out a few reasons why purchasing high-top roller skates are well worth the investment. When you do an activity you love, it’s important to be comfortable. Nobody wants to roller-skate with pinched toes and blisters forming. High-top roller skates are a great fit for all feet, they’re made of quality material, and they give you the support you need to try new tricks. One of the worst feelings in the world is a rolled ankle. It makes it hard to walk, run, stand, and skate. But when you wear high-top roller skates, your ankles have the support they need to make those sharp turns and go fast! You won’t have to worry about rolling your ankle if you’re wearing the correct size skate. With high-top rollers, you get to be comfortable and fashionable! There’s not much that says cool like roller skating on the rink with high-tops. The Skate Moore team suggests you wear thick and high socks to prevent uncomfortable blisters from forming. Now that you understand exactly why having high-top roller skates is well worth it, you can purchase a pair right now! We have all different colors, wheel options, and more. We look forward to seeing you rock out your new high-tops on the skating floor. See you soon! Enjoy Your Spring Break at Skate Moore! Spring break is approaching fast, and we bet you’re searching for fun spring break activities in Moore, Oklahoma. Fortunately, there are plenty of exciting events happening at Skate Moore! Who says you can’t go roller skating two days in a row? After having a blast at our Late Skate Party, come back to Skate Moore on March 17th for a St. Paddy’s Day Skate! Make sure to wear green or you might get pinched. When school is out and there’s not much to do, it’s easy to get bored. To stay entertained and energized, come to Skate Moore on March 22nd to round off spring break! This will be the perfect ending to an awesome, skate-filled week. Do you have a family birthday that falls on spring break week? Or maybe you’d like to throw a team party for your athletes that are rocking their sports season? Book a party at Skate Moore! We have plenty of different party packages to choose from – private parties, birthday bashes, team events, late night skates, and more. Contact us today with any questions or to book your spring break party! Now that the holidays are behind us and the new year is in full swing, let’s get back to basics! Here at Skate Moore Skate Center, we get a lot of questions about skating, but it boils down to three basics. So here is our Roller Skating 101: How-Tos! First of all, bend your knees. Now bent them further! You want to bend so far that you can’t see your toes past your knees. The next trick here may seem counter-intuitive but trust us: lean slightly forward rather than backward. Give it a try and see how much more stable you feel! If you’re wearing appropriate knee pads, you can just drop gently to one knee to stop yourself. Of course, you can use the heel brakes on your inline skates, or toe stops on your quads. That’s what they’re there for! Finally, try a T-stop: drag one foot behind you perpendicular to the other foot. We’re way ahead of you! Practice! That’s it. Just keep working at it. You can read “how to skate” articles all day long, but the sooner you put your knowledge into practice, the sooner you’ll master it! Come out to Skate Moore whenever we’re open and see what you can do on the skate floor. Now that you’ve got the basics, don’t forget that practice makes perfect! We can’t wait to see you at Skate Moore Skate Center. Love is In the Air at Skate Moore Center! Valentine’s Day is right around the corner! Have you made your plans yet? If not (or if you’re just looking for a little something extra), look no further: Skate Moore Skate Center in Moore, OK is hosting a Valentine’s Day Skate from 6:00 to 8:00 on February 14th! It’s Unique and Fun! While everybody else is packed into overcrowded, expensive restaurants with overworked waitstaff, you and your date can enjoy an evening of retro fun without the crowds of cranky diners. Don’t worry about your reservations getting pushed back or your food being cold. It’s Casual. No need to kill yourselves dressing up, although you’re welcome to wear your fancy clothes if you want! Just make sure that skirts and pants won’t get caught in your wheels. The point is that a skating date is exactly as low-key as you want it to be. There’s no pressure, and the conversation will flow naturally. …But it’s Thoughtful. Because it’s something different and off the beaten path, your date will feel like you’ve put a lot of thought into making the evening a romantic night for both of you! Remember, the more money save on activities, the more you’ll have for gifts, cards, or even saving for your future together. Bring your date to Skate Moore Center for our $3 Valentine’s Day Skate and let the good times roll. Just be sure to look out for blisters! Now that the holidays are over and gone, it’s easy to let work take over our schedules. Don’t pack up all the fun with the decorations, though! Making time to have fun is a crucial part of staying healthy, mentally and physically. Taking time to blow off steam and enjoy ourselves is a good way to relieve and reduce stress. It also means spending more time with our loved ones. The time we have on this earth is short. Shouldn’t we spend some of it making good memories with our family and friends? And besides, do we really need an excuse to do something enjoyable? Not everything we do has to be motivated by what other people think is most important. Sometimes it’s ok to let your hair down and just enjoy things! Of course, it’s not always easy to slot fun into our schedule. That’s where Skate Moore Skate Center comes in! Between our special events like our upcoming Valentine’s Day Skate and our regular skate sessions, and with our great music and the delicious treats at our snack bar, we make fun easy and affordable. It’s also a great way to meet new friends or connect with old ones. 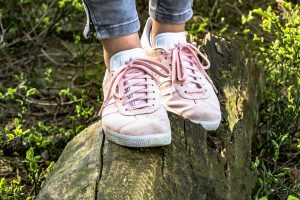 Plus, roller skating is a good exercise that’s easy on your joints, which is especially useful in the cold months when spending time outdoors just isn’t feasible. No matter why you’re choosing to make fun a priority, we hope you’ll join us at Skate Moore in Moore, OK. We’re the experts on fun! Getting fit and staying healthy are some of the most popular New Year’s Resolutions! If you made a similar resolution, you’re not alone, but it can be easy to feel overwhelmed, especially if you’re just starting. 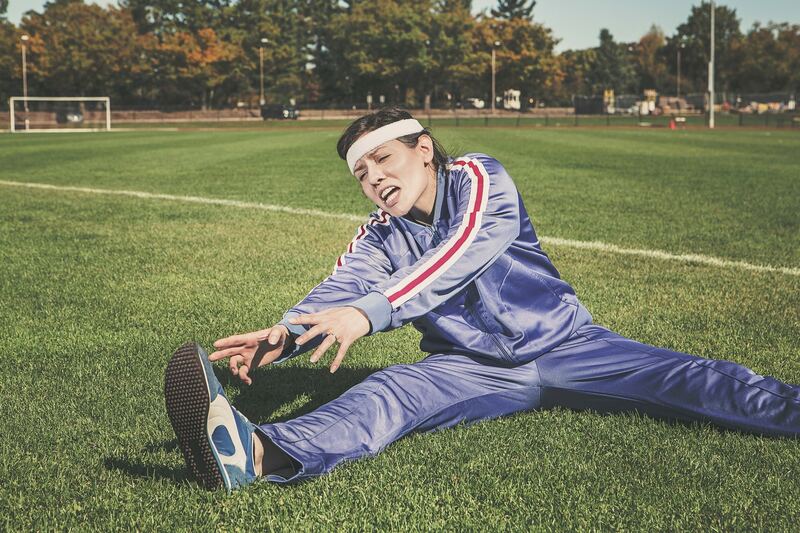 Here are some exercise tips for beginners to make getting fit easier! Start Small. By some accounts it takes 28 days to make a habit. When you make fitness goals, start with one or two small changes to your daily routine. As you succeed in making them a habit, you can slowly add new challenges. Don’t overwhelm yourself at the beginning–that’s setting yourself up for failure. Forgive Yourself. Everybody makes mistakes and fails sometimes. Don’t beat yourself up–shame isn’t a helpful motivator. Remember that every day is a new opportunity to try again. Make it Fun! If you really hate what you’re doing, how likely are you to keep doing it no matter how good for you it may be? That’s where Skate Moore Skate Center comes in! Roller skating is great for burning calories, improving balance, increasing endurance, and strengthening muscles. It’s easier on joints than running or jogging, and it’s not subject to the challenges of the winter weather. Whether you’re joining us for an open skate session or for one of our special events, at Skate Moore you’ll have so much fun that you won’t even realize that you’re getting a great workout. Plus, at Skate Moore we work hard to make sure roller skating is affordable as well as fun.